Hub Alert™ heat sensing labels can be installed on any truck, bus or trailer wheel hub or hubcap. The aggressive adhesive backing of the label ensures that Hub Alert™ remains securely attached to Plastic, Aluminum and Steel hubcaps and to Steel hubs. Clean all oil or grease from the surface area. Sand area to remove any loose or peeling plastic or oxidation deposits. NOTE: FOR NEW ALUMINUM HUBCAPS, THE SURFACE WHERE THE HUB ALERT™ IS BEING PLACED MUST BE CLEANED WITH BRAKE CLEANER PRIOR TO INSTALLATION. Clean all oil or grease from the surface area. Sand area to remove any loose paint or rust. Make sure surface is clean and dry. Apply Hub Alert™ at ambient shop temperature (55⁰F to 80⁰F) for maximum adhesion. Position Hub Alert™ on side or face of hubcap and hub as shown. During initial activation (approx. 245⁰F) the sensor area will begin to darken indicating an overheated status. The heat sensor will activate and turn BLACK when the surface of the hub/hubcap reaches 250⁰F. 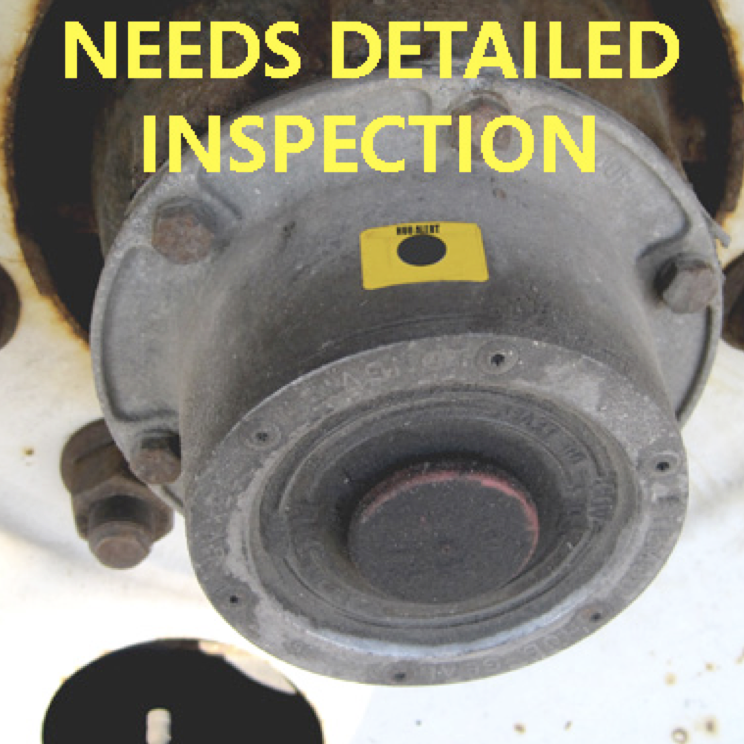 A more detailed inspection of the wheel end is required. 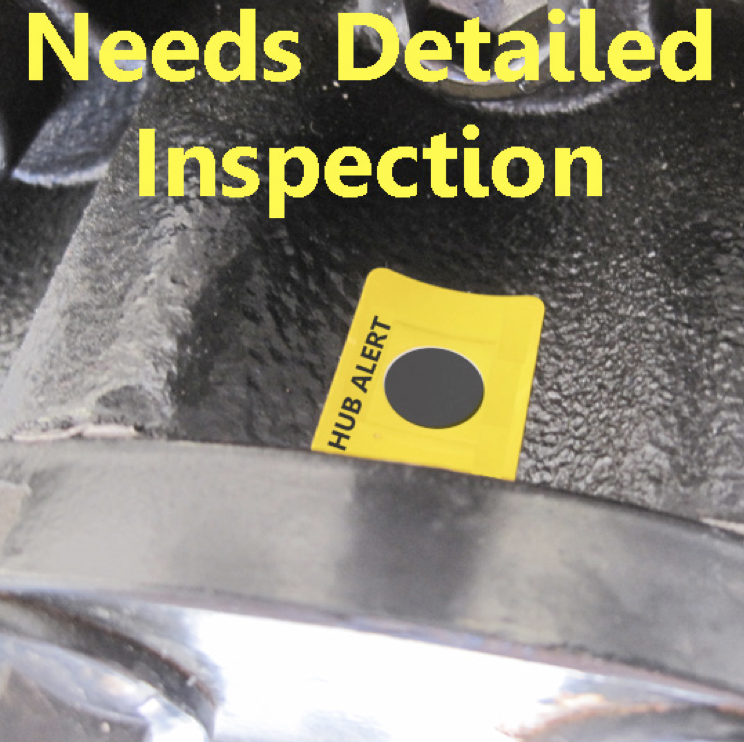 A new Hub Alert™ must be installed after a detailed inspection of the wheel-end.